USA dynamo Christian Pulisic played a starring role as Borussia Dortmund claimed a dramatic last-gasp victory over Eintracht Frankfurt on Matchday 26, and is now determined to help BVB overturn a 2-1 first-leg deficit in their UEFA Europa League Round of 16 tie with Salzburg on Thursday. The USA international looked back to his brilliant best on Sunday, and it was his teasing cross for Marco Reus that forced Frankfurt defender Marco Russ into conceding a 12th-minute own goal. 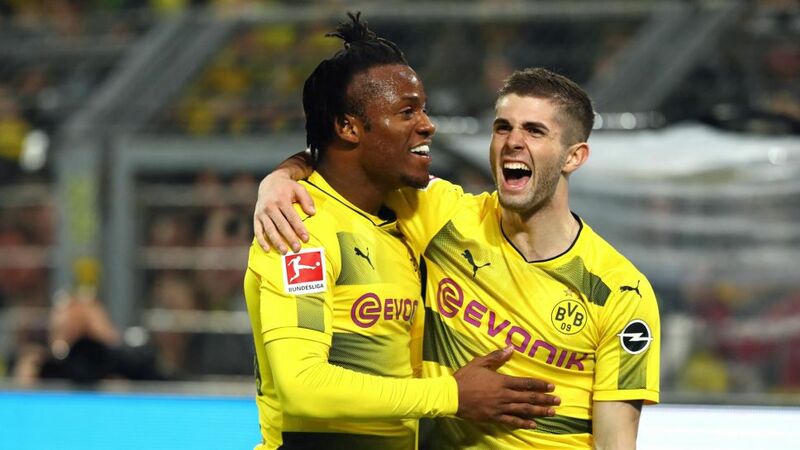 After the Eagles equalised through Luka Jovic, Pulisic teed up Michy Batshuayi to restore Dortmund's lead, and the Belgium striker eventually got an injury-time winner as Peter Stöger's side earned three vital points in the race for next season's UEFA Champions League. "It was a crazy game," Pulisic admitted to bundesliga.com afterwards. "Obviously things didn't go perfectly, but we always had that fight in us, every time they equalised we got the next goal, so it was a great performance. We needed a big win today, especially for our fans. Now we've got a Europa League game, we need to try to turn it around." Pulisic made a similar impact in the first leg against Salzburg last Thursday, replacing Mario Götze in the 62nd minute at the Signal Iduna Park and crossing for Andre Schürrle to tap in from close range and give the Black-Yellows a lifeline in their bid to reach the Europa League quarter-finals. "They were a good opponent," Pulisic admitted after the surprise 2-1 defeat to the Austrian Bundesliga champions. "We started well, but then kind of went through a bad phase. I tried to bring on some energy, but in the end it wasn't quite enough to tie it up and try to get the winner." "We weren't 100 per cent tuned in for the whole game. We were for parts of it, but that's not going to be enough against this team. We need to be ready to go for the full 90 minutes. We need to come out with the right attitude, ready to play, in every single game." Dortmund now have three days to fine-tune their game plan for the return leg in Salzburg, and Stöger will be happy to count an in-form Pulisic among his embarrassment of riches in attacking midfield, alongside Reus, Götze and Schürrle. After his efforts against the Eagles, the American is now up to five assists in 11 appearances in all competitions in 2018. "I feel very good, very confident," he insisted. "And now I'm back for whenever the team needs to use me. I'm just happy to go out and help any way I can." Who better to inspire a Dortmund fightback in Austria on Thursday evening...? Click here for all the latest on Salzburg vs Borussia Dortmund!